Washington, DC. July 9, 2018 – The National Board of Medication Therapy Management is pleased to announce the appointment of Dr. Hieu Tran as the new Chair of its Board of Directors with effect from July 9, 2018. The NBMTM is very excited Dr. Tran take up the role of strategic decision-maker at the NBMTM. 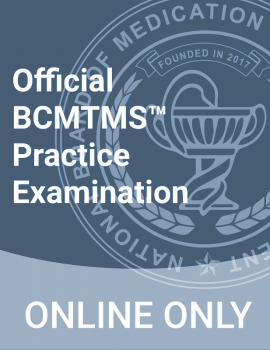 His major initial focus would be to lead all aspects of NBMTM activity that relate to the experience and the development of the board certification medication therapy management specialist exam (BCMTMS™) through the collaboration of MTM pharmacists, health plan executives, academic professionals, and public servants. Dr. Tran is currently the Dean at California North State University College of Pharmacy. Under his administration, the college of pharmacy achieved the highest passing rate out of all the pharmacy schools in the state of California for the CPJE Board Exam in 2016 (Law Board exam for licensure in California). Dr. Tran obtained both his Bachelors in Science in Pharmacy and his Doctorate of Pharmacy (Pharm.D.) degrees from the Philadelphia College of Pharmacy and Science in Philadelphia in 1990 and 1993, respectively. He completed a Post-Doctoral Fellowship in Clinical Pharmacology with a sub-specialty in Cardiovascular Therapeutics and Antiarrhythmics at Hartford Hospital and the University of Connecticut. Dr. Tran was the Founding Dean at Sullivan University College of Pharmacy where he has led the Pharmacy program to a successful accreditation. Prior to joining Sullivan University, he was the founding Chair of the Department of Pharmacy Practice at the newly established Lake Erie College of Osteopathic Medicine School of Pharmacy in Erie, PA. He has received research funding from private as well as government sources, engaged in scholarly activities with more than 200 articles and abstracts, co-authored 5 books on Nanotechnology, written chapters on Cardiovascular Therapeutics, Natural Products, and has served as reviewers for peer review journals and textbooks in Applied Therapeutics and Pharmacokinetics/Dynamics. He has presented expert information at nearly 200 professional and scientific conferences throughout the United States and abroad. Dr. Tran initiated a telepharmacy project to explore the delivery pharmacy services to the underserved rural population and founded the International Center for Advanced Pharmacy Services (INCAPS), the first collaborative project between academia and a third party payer (Humana), and also with the Kentucky Retirement System to provide reimbursable Clinical Pharmacy Medication Therapy Management (MTM) services and MTM certification for students on rotation. The Center has received the Award of Innovation. He has also established collaboration with the Louisville Metro Health Department to provide assistance with their immunization program for the City of Louisville. He has developed and implemented successfully Clinical Pharmacy MTM all over the US in diverse hospital settings. 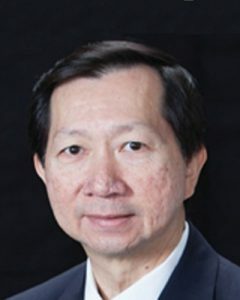 In January 2012, Dr. Tran was promoted to Founding Vice-President of the newly established College of Health Sciences at Sullivan University while retaining his title as Founding Dean and Professor of the Sullivan University College of Pharmacy. In this role, he oversaw all current health-related programs (Pharmacy, Nursing, Physician Assistant, and Health Science General Education). Within the Metro Louisville community, Dr. Tran was selected to the Louisville Healthcare Fellows program; has received an appointment to The Honorable Order of Kentucky Colonels; has received the 2009 MediStar Leadership Award from Medical News, and has been honored yearly since 2008 as a Business First Health Care Partner. He has served on the boards of the American Heart Association, Leukemia and Lymphoma Society, and the Foundation for a Healthy Kentucky. He was voted in as the President of the Board of Directors of Asia Institute Crane House, which under his leadership has successfully sailed through budget and strategic planning challenges. 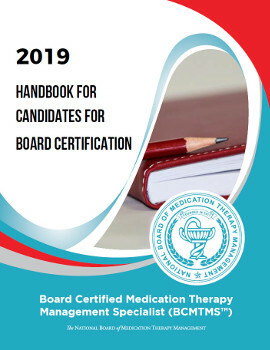 The National Board of Medication Therapy Management (NBMTM) is a nonprofit organization that was founded to protect the public by assessing and certifying pharmacists who meet specific educational, training, professional requirements, and demonstrate the requisite knowledge, skill, and understanding of medication therapy management. NBMTM is not a membership organization and NBMTM’s Board of Directors is made up of member volunteers. NBMTM continues to be driven by pharmacists who want to advance the highest standards for better health outcomes.